Eguren Ugarte is located in Rioja Alavesa, Spain and belongs to the Eguren Family. They have devoted themselves to the world of wine since 1870 and are currently in the sixth generation of winemakers. 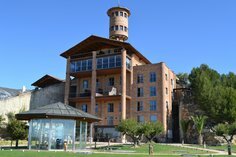 Located next to Páganos (Laguardia), this family winery has managed to maintain the traditions of wine-making, as well as the incorporation of all the latest growing and wine-making techniques, resulting in exceptional wines that have won major national and international awards. The Vineyard, named El Monte Poyoto Cascajo de san Blas and planted in 1970 is located at the foot of the Toloño mountain range, a unique spot that is the exact meeting point of the two tectonic basins of the northern Iberian Peninsula: the semi-arid area of the Ebro Valley, awash with Mediterranean sunlight, and the humid area of the Basque Country, which is bathed by cool Atlantic breezes. 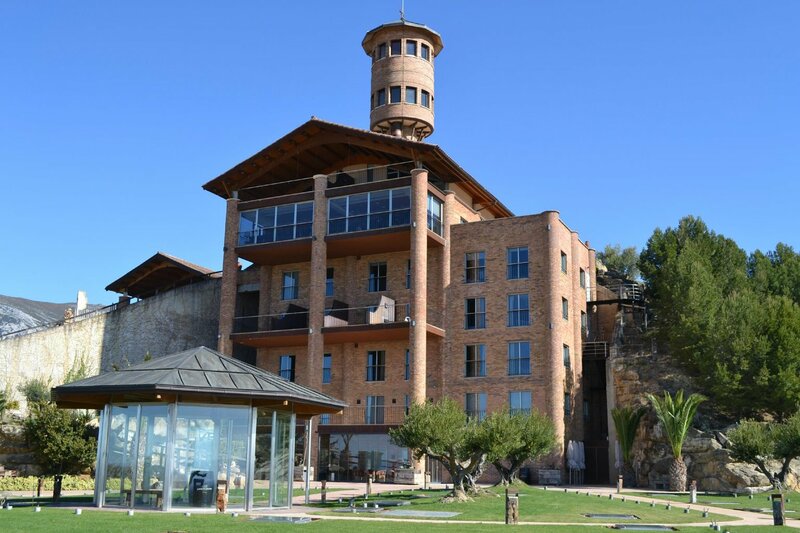 It falls within the municipality of Laguardia, the capital of the Rioja Alavesa region. The grapes are de-stemmed and crushed. Fermented with selected yeasts for 15 days at 25-28°C with daily pumping. Subsequent maceration over 7 days. Aged for 15 months in American and French Oak barrels with racking every 4-6 months and a further 6 months in the bottle. Intense cherry red colour with ruby hues. Very expressive, intense fruity flavours of blackberries and cherries. Balanced aromas of toasted wood and vanilla in harmony with each other. This wine is wide and creamy with ripe tannins that give a sensation of body and structure but are perfectly combined, providing a sense of volume. Aromas of vanilla and forest fruits in the aftertaste.